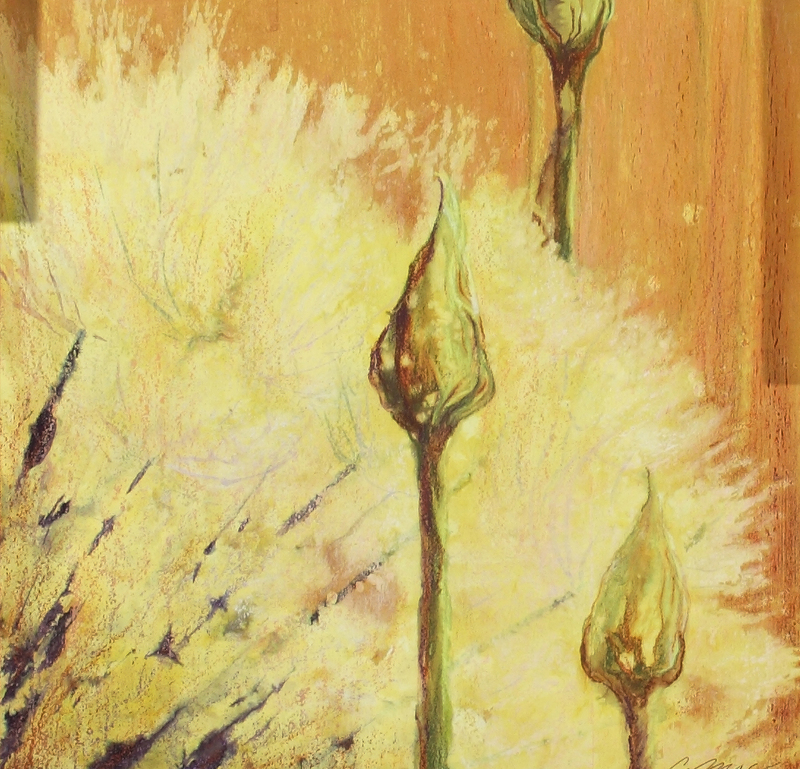 The majority of these paintings consist of a grouping titled, “Seeds of Hope”. 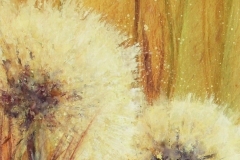 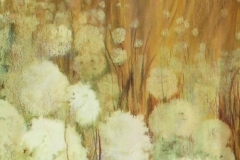 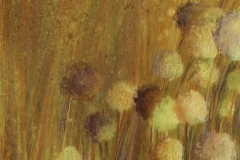 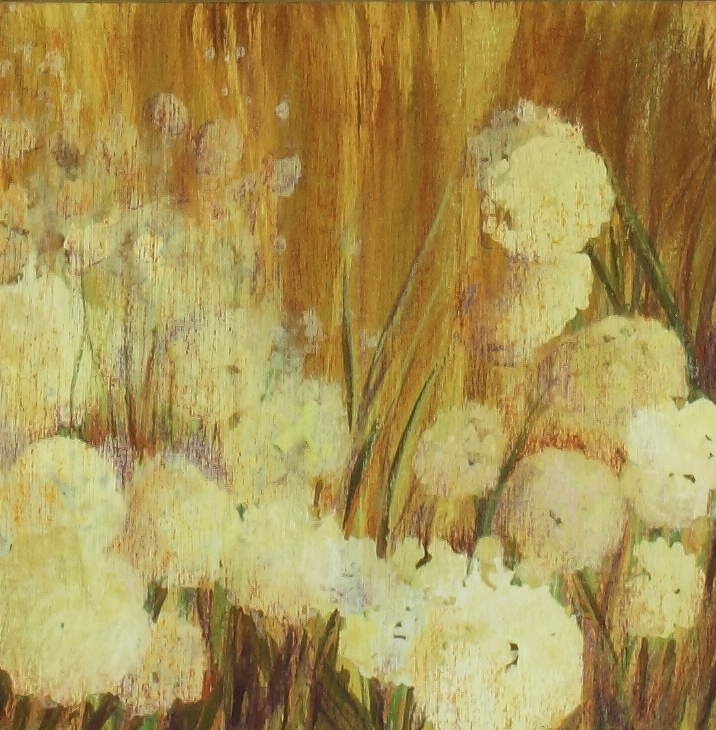 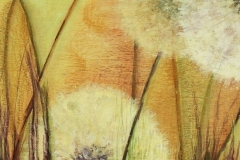 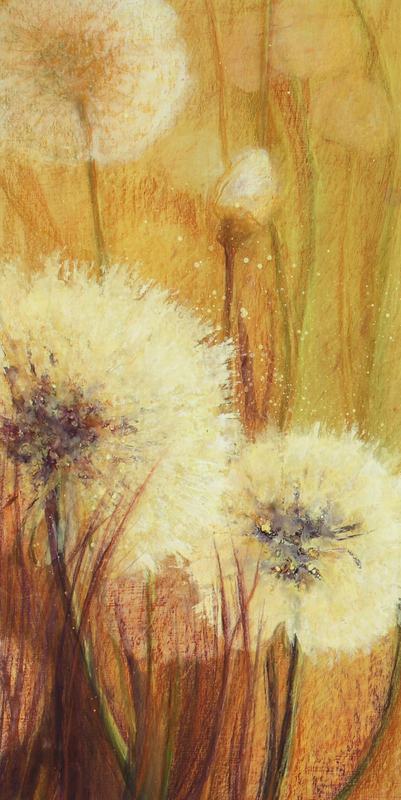 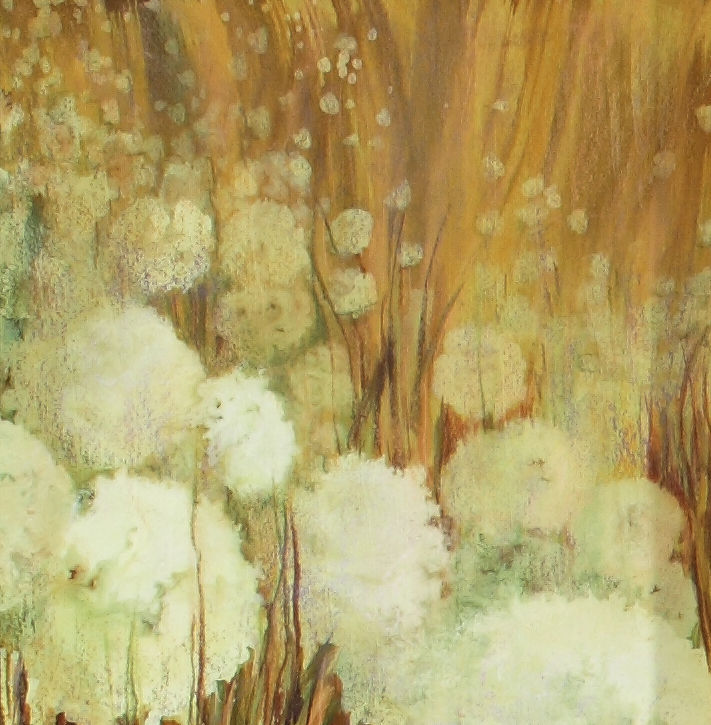 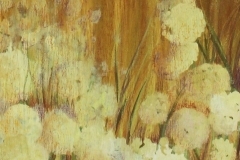 These earlier works focus on the dandelion as a symbol of hope. 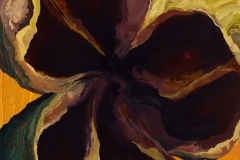 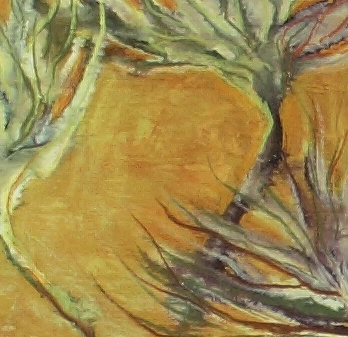 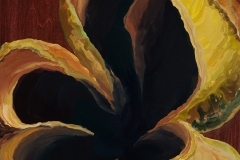 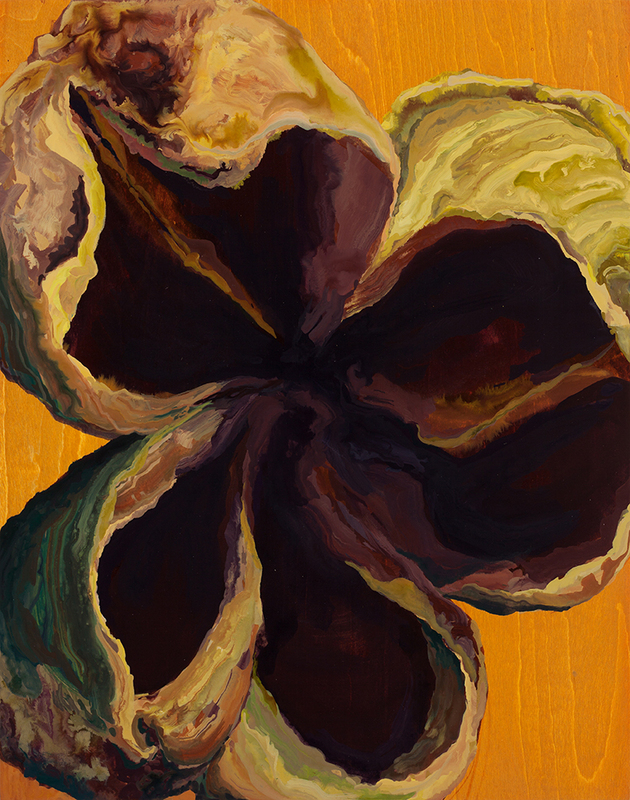 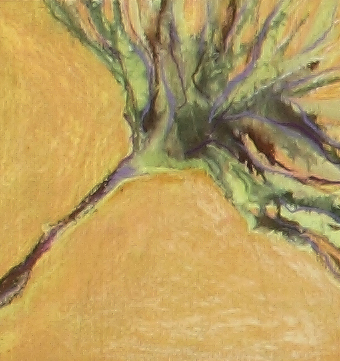 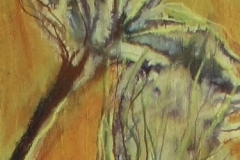 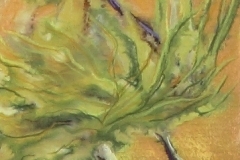 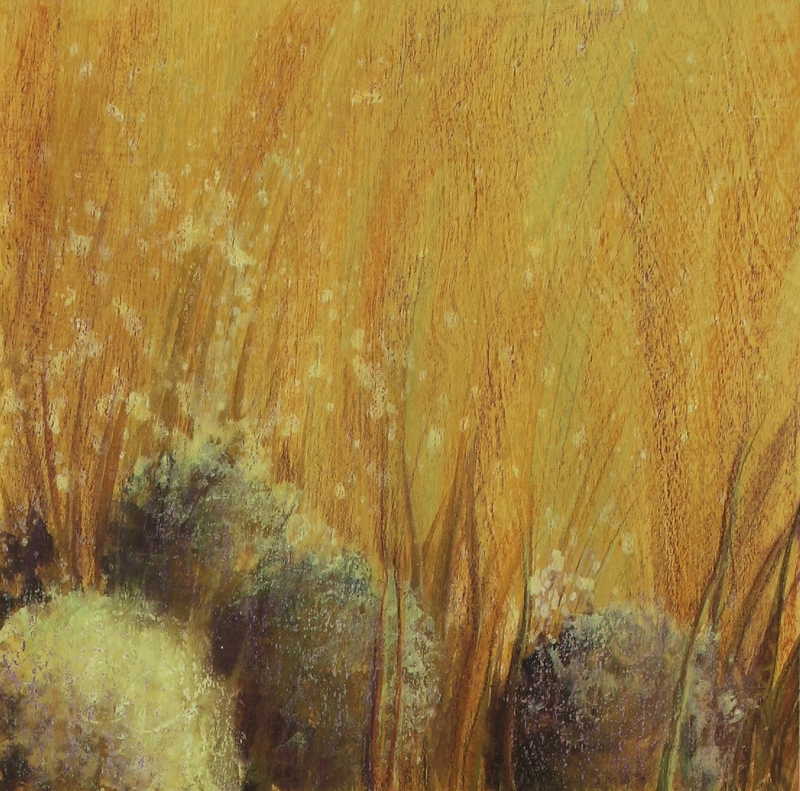 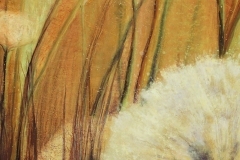 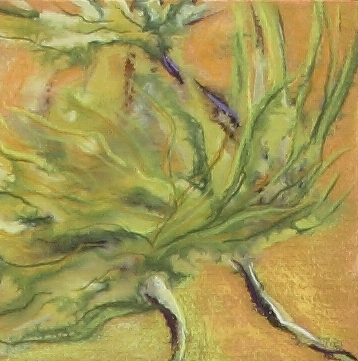 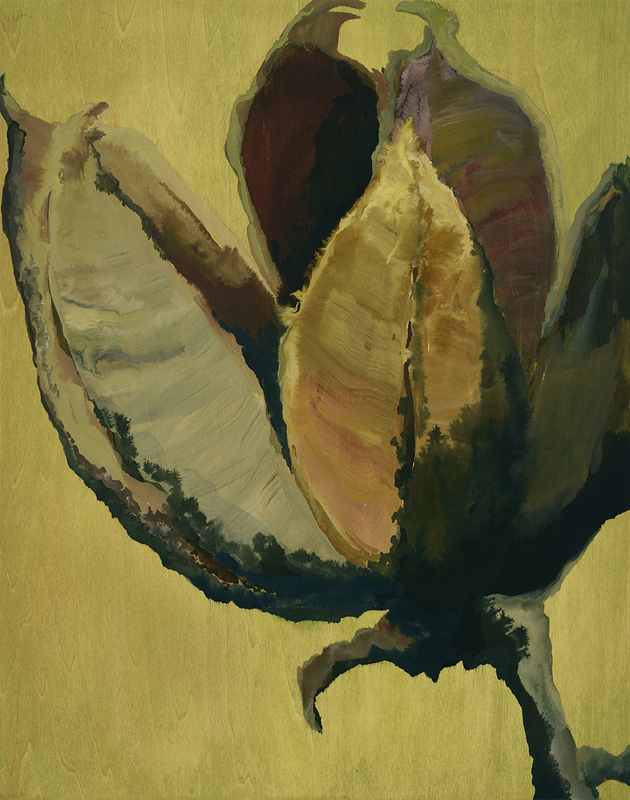 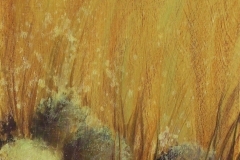 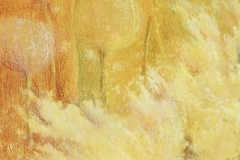 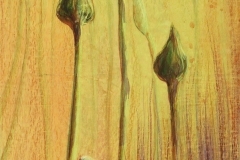 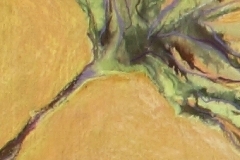 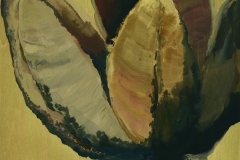 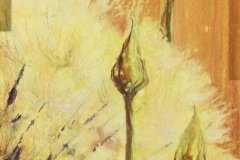 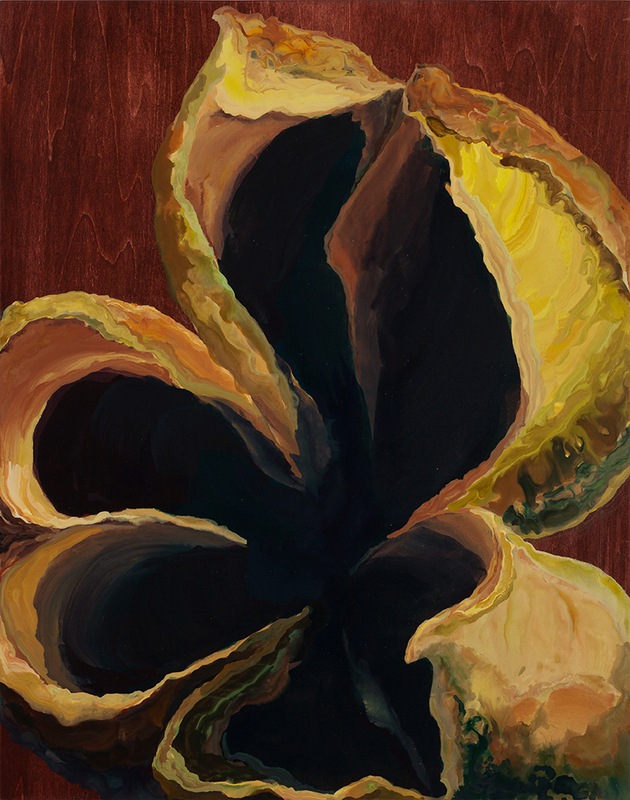 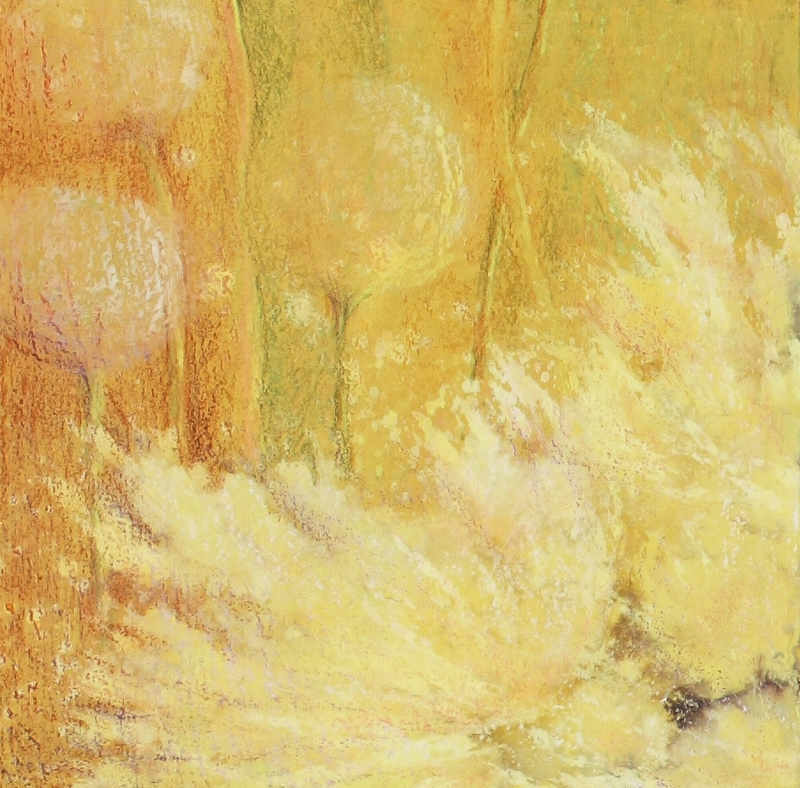 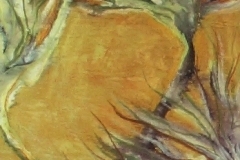 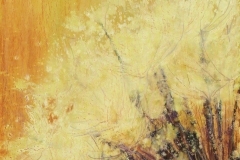 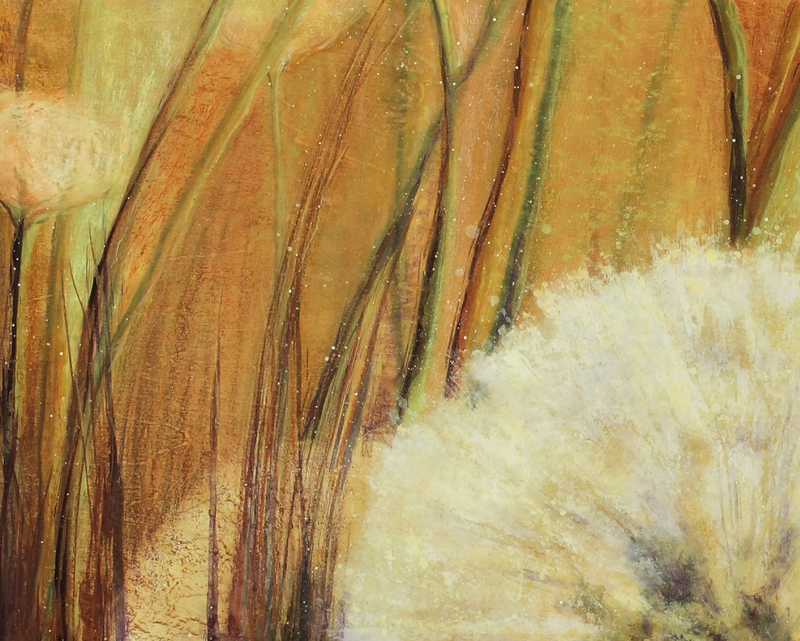 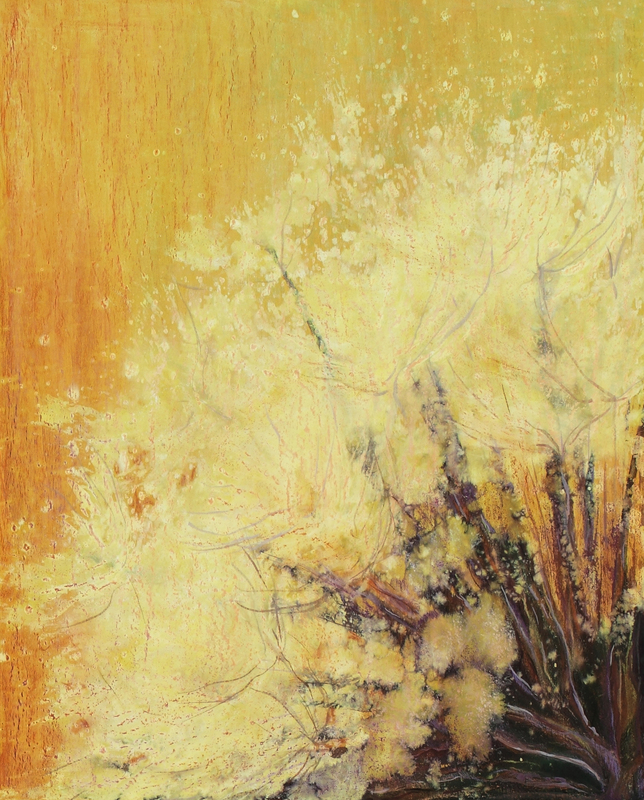 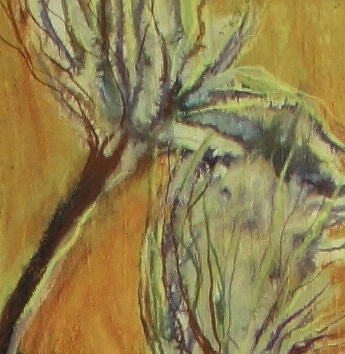 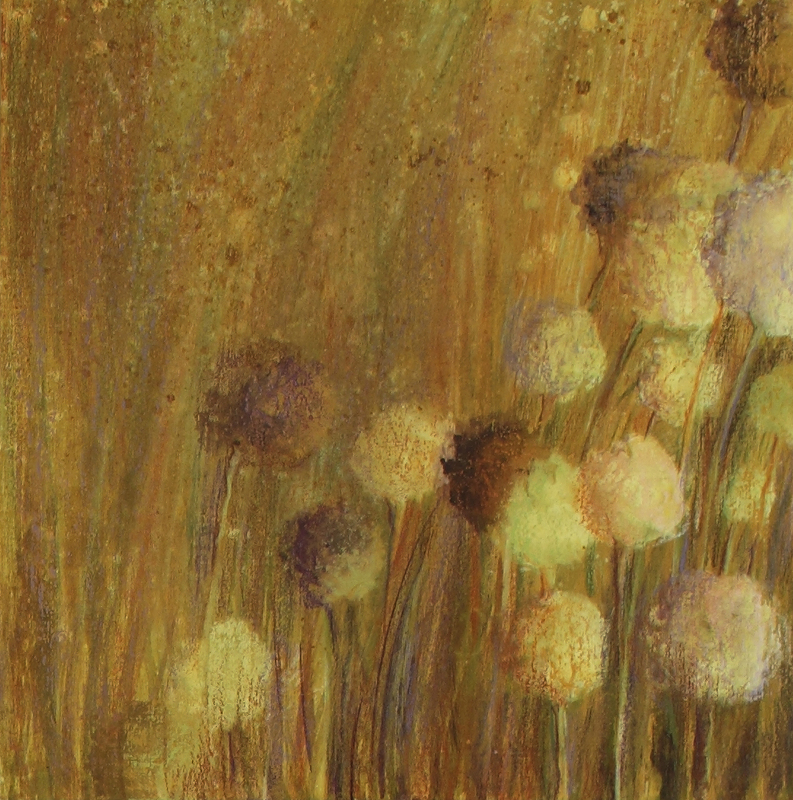 Seed pod paintings and the utilization of warmer tones depict light and growth.